Please join us for a first time event!!! Places are filling up fast. Please register by filling out this form or calling Monte (503)442-7689. $10.00 “Entry Fee” per person covers cost of bowling. Please bring 2 cans of food per person for the “Oregon Food Bank”. 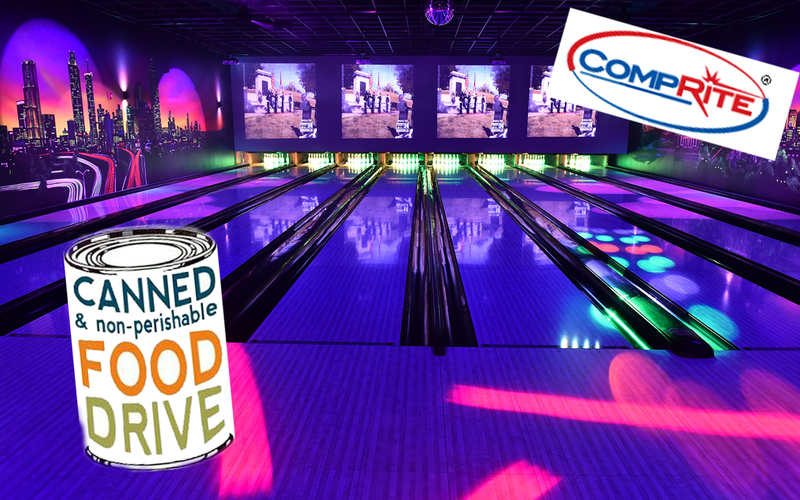 This event will be “Cosmic Bowling”, three games for each player. Everyone is welcome – this is a family friendly event. Right-Handers are invited to bowl Left-Handed with Bumper Bowling. Free Pizza, Soda Pop and Ice cream will be provided for the first 100 people. There will be 3- Prize categories, and there will be fun prizes for the kids. We will have an Auction for Doernbecher Children’s Hospital at 3:00pm. We will be auctioning off gift cards from over 20 Local Retailers. All gift cards have a minimum value of 20 dollars. 100% of auction proceeds will go to Doernbechers. Connectavision is not a 501C3 so gifts are not tax deductible. Direct contributions to Doernbechers are tax deductible. Presented by Monte Harris of Connectavison, Inc.